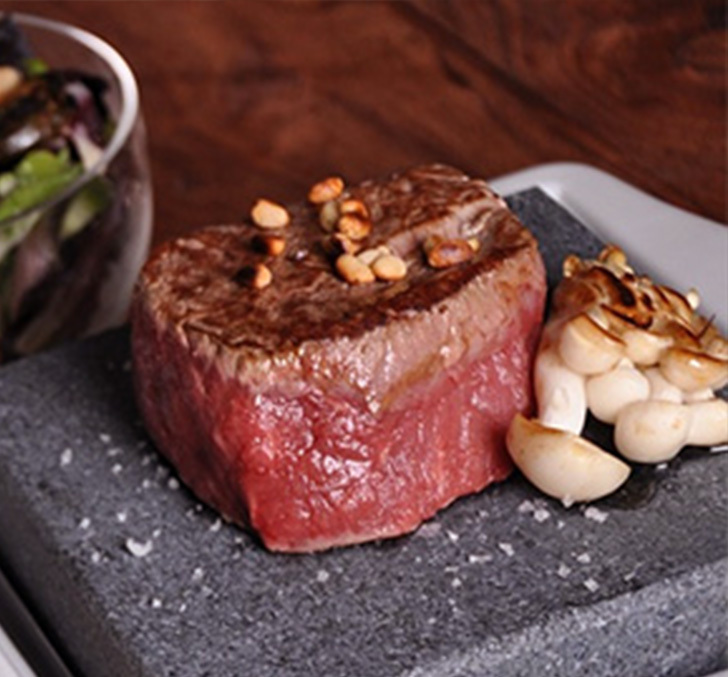 The Chef is you, enabling you to cook the perfect steak, just the way you like it. 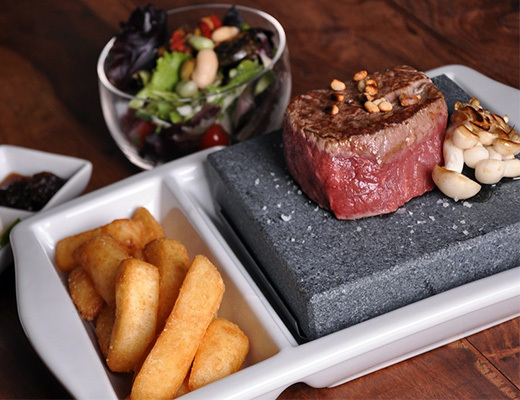 The cooking stone is made from volcanic rock which we heat in our specialist oven to a temperature of 440°C. This allows you to cook your steak perfectly to your taste, whilst engaging in an unrivaled social experience, using the freshest local produce available. 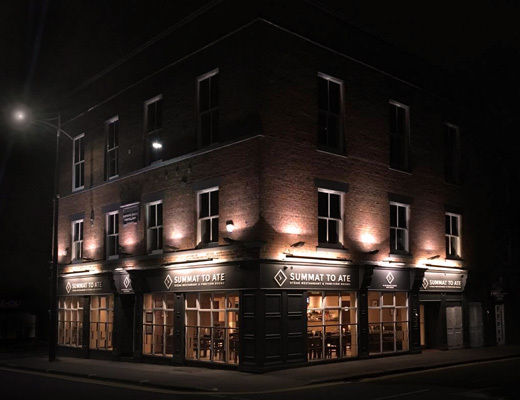 Summat to Ate is situated at 48-50 Market Street, Hindley, WN2 3AN, the heart of Hindley town centre near Wigan. The restaurant premises have a fantastic history dating back to 1856. The building was fully renovated to restore the building to its natural beauty back in 2009. The restaurant is managed and owned by Kai Binder who is actively involved with the day to day running of the business. Here at Summat To Ate we have a strong emphasis on sourcing the best quality local steak. We have a range of menus available throughout the week with some great value deals. We also have a range of other meat and non-meat dishes to cater for all guests. 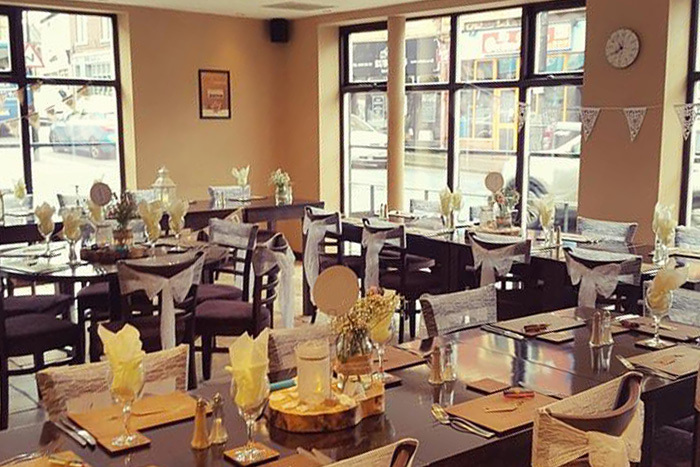 We believe homemade & fresh is always best and strive to offer you the very best quality from starters through to desserts. We can also cater for any food intolerance. Take a look at our great seasonal menus. We have two fantastic rooms both situated above the restaurant. Whether you’re planning a Wedding, Christening, Birthday or any other event our luxurious venues are the perfect destination. Our fantastic LED colour changing lights allow us to transform the venue to your style. 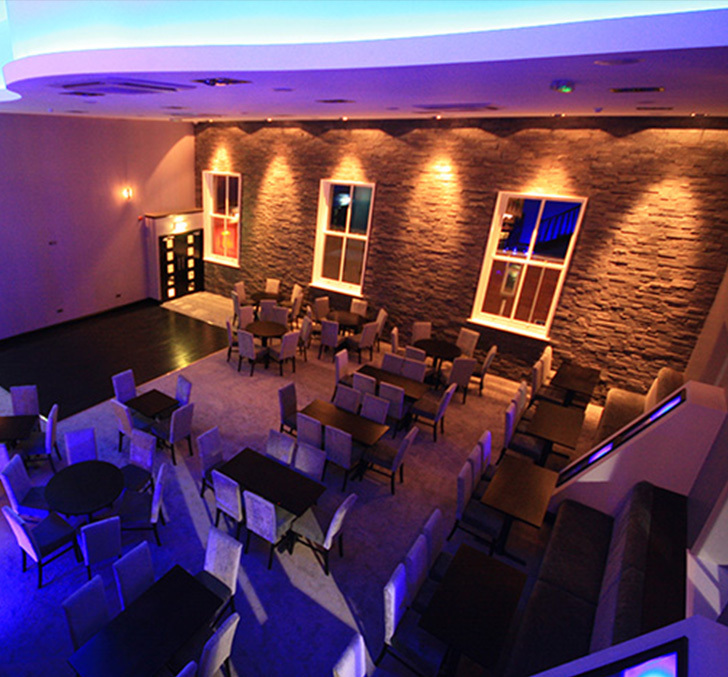 Our main function room holds a maximum of 150 guests and the smaller room holds a maximum of 80 guests. Both are free to hire with our buffet packages. We love this restaurant, my partner would never choose to eat steak out, as he can not normally get it cooked to his liking. However, at Summat to Ate using the hot rock you cook it yourself to your own taste. We go for the mid-week special which is a really good offer, and quite inexpensive for a great steak. The restaurant is very clean and the staff are friendly and happy. The atmosphere is lovely and relaxed. We go for the mid-week special which is a really good offer, and quite inexpensive for a great steak. The restaurant is very clean and the staff are friendly and happy. The atmosphere is lovely and relaxed.